Bullying in our society continues to grow in prevalence, severity and even ingenuity with the advent of “cyber bullying.” Along with academic success, we need to create Safe & Caring School environments to ensure the physical and emotional safety of all our students. The goal is to reduce bullying behavior by giving children specific life skills and infusing a school-wide support system to create positive change. 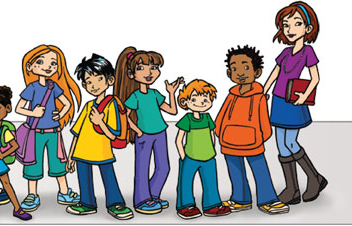 Bullying is one of the nine themes contained in the Safe & Caring Schools Resource Guides. 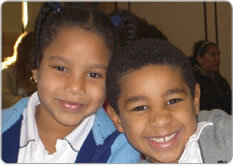 In combination with other themes and subtopics (see charts on the Products page of this web site), children take an empowering journey as they learn and practice skills to prevent bullying and other negative behaviors. Either as victims or bystanders, bullying is something all children experience in their lives in school, neighborhood, or home. A pervasive problem, data shows that, though there is growing concern over bullying, the scope and effects of bullying are underestimated. 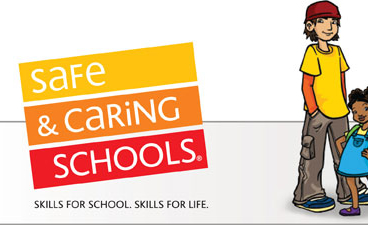 Announcing Safe & Caring Schools Bye Bye Bullies! In collaboration with the the National Theatre for Children we are proud to announce Safe & Caring Schools Bye Bye Bullies!, an exciting new play to help children gain a better understanding of bullying behavior and what can be done about it. Created by The National Theatre for Children, Inc. (NTC) along with curriculum developers Petersen Argo, Inc. Bye Bye Bullies! uses a proven educational method – live theater – to encourage elementary-school students to have empathy for their peers and take positive steps when confronted with bullying behavior. The production will go on a national tour to more than 1,000 schools nationwide. The play is based on Petersen Argo’s renowned Safe & Caring Schools®, a pre-school through grade 8 program that infuses lessons on self-awareness, social awareness, relationship skills and responsible decision-making into classroom learning. Safe & Caring Schools creators Katia Petersen, Ph.D., and Steve Petersen, M.A., worked closely with NTC’s creative team to integrate their proven curriculum into the 25-minute show. The messages in Bye Bye Bullies! are reinforced before and after the performances with exciting student workbooks, an extensive teacher guide, online games and take-home activities for students and their parents.